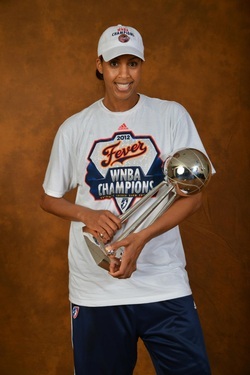 Former WNBA Champion and Two-Time WNBA All-Star. Rutgers Alumni. Lover of all Sports. Fashion. Travel. Music. and Young Athletes. Well-rounded Canadian Olympian who focuses her energy on collecting experiences as opposed to ‘things’. Would rather spend money on a trip to a foreign country than on a fancy new car. The type of person who likes to seize opportunities and make the most of every day. I think it is great that you have so much going on for you.Your inner beauty far exceeds the obvious, your physical beauty!I believe we should try to enrich the lives of “all” though, not just one particular gender, ethnicity or nationality. All the best to you. I really admire your passion for your sport, and the compassion you have for others! I am a student at Markham District H.S. right now. A group o students, including myself, are organizing a benefit concert in support of Free the Children, on Thursday, October 14th. We would like to invite you to come to this event, and speak a few words of inspiration. Our students look up to you as both an alumnus, a sportsman, and a kind person. Your presence would make a great difference to us. Markham District H.S. has also entered a new building this year, and the old one is in the process of being demolished. We would love to give you a tour around the new MDHS, and would love for you to make your mark in it. Bellow is a letter with more detail. I look forward to hearing from you. Feel free to contact me at this email. My name is Samantha Leung, and I am writing to you on behalf of LEAD at Markham District High School, a student leadership program dedicated to making a difference in the world. Throughout the years, we have organized many events in order to build awareness and fundraise for numerous causes, raising over $250,000 to build schools, fight poverty and make a better life for children all over the earth. On October 14th, we will be holding our first ever Break the Silence Concert in support of Free The Children, at Markham District High School. We are pleased to extend a most cordial invitation to you and greatly hope that you can attend. Free the Children is the largest global network of children helping children from exploitation and poverty worldwide. Since it was founded in 1995 by 12-year old Craig Kielburger, over 50 000 children worldwide now have access to education and thousands more around the world have been inspired to make a difference. The LEAD program strongly believes in Free the Children’s goal and we have chosen to support it so that other children can be empowered in an oppressive world. The Break the Silence Concert will be preceded by the Vow of Silence, a pledge that students take to remain silent for 24 hours, essentially cutting off all forms of verbal and textual communication. Our goal is to raise money and awareness for children silenced by poverty, war and oppression. Our concert will involve both professional and student musical performances, as well as important speakers looking to spread their message among today’s youth. This concert will aim to empower our students and inspire those in the community. We hope to create an amazing and inspirational event by requesting you to speak at the Break the Silence Concert any time between the hours of 4:30 and 7:30PM on October 14th. Your presence would contribute greatly to the enthusiasm and interest at the event, and to those in the community. In the past we have had local television, newspapers, and other media spreading our message beyond our school doors. We will try our best to accommodate any needs you and your team may have. Your involvement means the world to us, and your presence means change to the world. Thank you for your time, and I look forward to speaking with you soon. My email address is samantha.leung@careandchange.com. If you have any questions or concerns, please feel free to contact me or our teacher advisor, Doug McLaren, directly at (905) 294-1886, ext. 5052. Sam, I am honored I was thought of for this event. Sounds like it’s an awesome event, and for a great cause. The only thing is is that I will not be in town at that time. I spend most of my time in the US as well as overseas. Sorry I won’t be able to help this time.